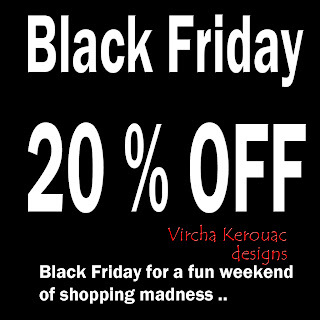 BLACK FRIDAY, Vircha kerouac 20%OFF. All articles (christmas & halloween designs ) have a 20% OFF. Black Friday for a full weekend of shopping madness..